If any decision or request to fell a tree is inevitable due to hazard or as a result of the land owners wishes, then Wychwood Forestry always strives to replant a new tree in its place. - Sectional Dismantle, Sectional Felling - For inaccessible or dangerous trees. Wychwood Forestry also supply logs for winter and woodchip for garden borders and equestrian usage. 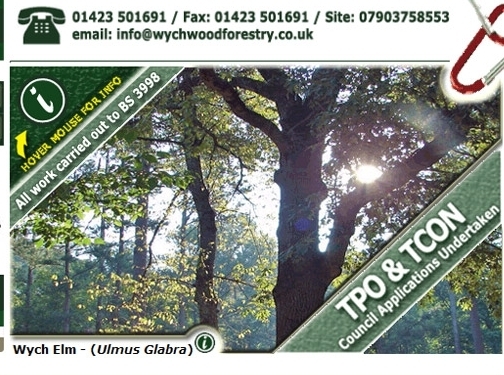 Contact Wychwood on 01423 501691 and enquire about our tree services today! Alternativeley visit our the website at www.wychwoodforestry.co.uk for more information.